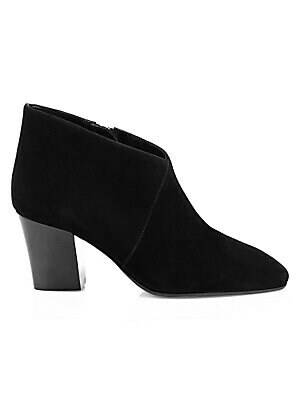 A crossover detail at the vamp is an elegant addition to this suede block heel bootie. 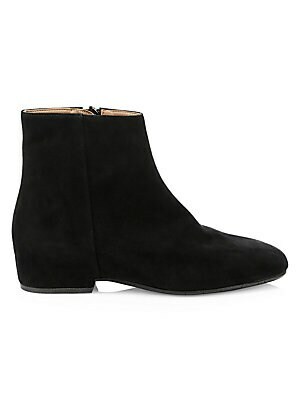 Weatherproof suede upper Almond toe Side zip closure Polyester lining Leather sole Made in Italy SIZE Stacked block heel, about 2.5" (63.5mm). 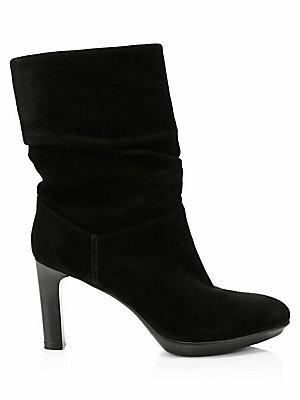 Women's Shoes - Cold Weather. Aquatalia. 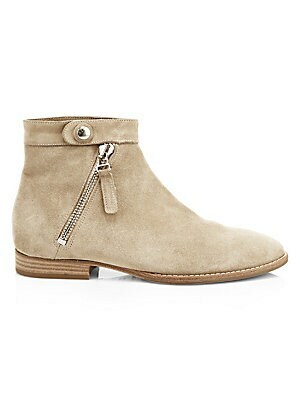 Color: Taupe. Size: 7.